Seems like the COL (Costa Oriental del Lago, for all you non-zulianos) gets a nice deal on electricity: between 1 and 2 US cents per kWh, depending on what exchange rate you use. This only confirms what we’ve already found – the real cause of the electricity crisis is the drought … of common-sense policies. 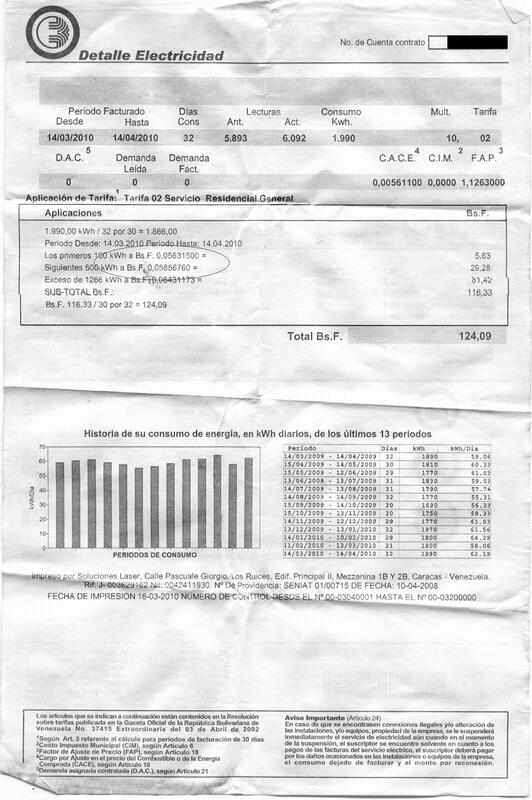 With prices like this, it’s no wonder Zulia is now the worst offender in terms of helping reduce consumption during the power crisis: Maracuchos used 13% more power in March 2010 than in March 2009!